The American Society of Landscape Architects conducted a recent survey to chart the latest statistics of outdoor design trends for 2014. I have seen many of these elements of Landscape Architecture in San Diego. This survey looked directly at residential design in terms of the most popular elements. At the very top of the list were low-maintenance landscapes, 95 percent. (All data found in Total Landscape Care Magazine). www.TotalLandscapeCare.com. The use of native plants followed at 84 percent. And over three quarters, 76% of residential designers indicated edible gardens (including vegetable, orchards and vineyards) are in the highest demand for this year. Drought tolerant plantings are the most sought after eco-friendly element, along with drip and water conserving irrigation techniques at 84%. Other major aspects such as permeable paving, reducing lawns and the use of recycled materials made the upper end of the list. Outdoor living spaces, kitchens and entertaining spaces were slightly above outdoor recreation in this same survey. Within the category of Outdoor Living Features, landscape lighting ranked 98%, dining areas and seating followed. Fire pits and fireplaces, grills and built-in seating also all in the 90% range. This survey does show that homeowners have the knowledge that professional landscaping does add value to their real estate investments. Today’s consumer is most interested in livable outdoor spaces that are environmentally conscious and have a sense of style. Other lesser outdoor living features include outdoor furniture, counter space, utility storage, stereo systems, wireless-internet connections, sinks, refrigerators, television screens, showers, outdoor fans and hammocks. And also to consider are the breakdown of outdoor structures. Patios, decks and terraces ranked the highest at 97%. Fencing and gates came in at 88%. Pergolas also very popular at 83%. Water features such as fountains ranked high at 81%. Outdoor ovens ranked at 71%. And outdoor art listed at 64%. Play structures at 60%. Sheds for storage, gazebos, awnings, columns and ADA accessible structures ranked 33% on this same survey. As for sustainable design elements, again native or drought-tolerant plants were at the top of the list. Water efficient irrigation, permeable paving, rainwater or gray water harvesting, composting and solar were listed in this order. As a category, Outdoor Recreation Amenities indicated decorative water elements like waterfalls, ornamental pools were at the top of the list at 86%. Spas, swimming pools, tennis or sports courts and TV or movie viewing are all in high demand. 10. Plant walls-vertical gardens, 49%. In conclusion, one can see a certain indicator of the American dream, living and entertaining outdoors. And doing it in such a way that it is more eco-friendly or sustainable. The increase in Edibles in the landscape, demand for low water use plants and desire to cook and prepare food in permanent structures outdoors are all factors that seem to be here to stay for the next generation. 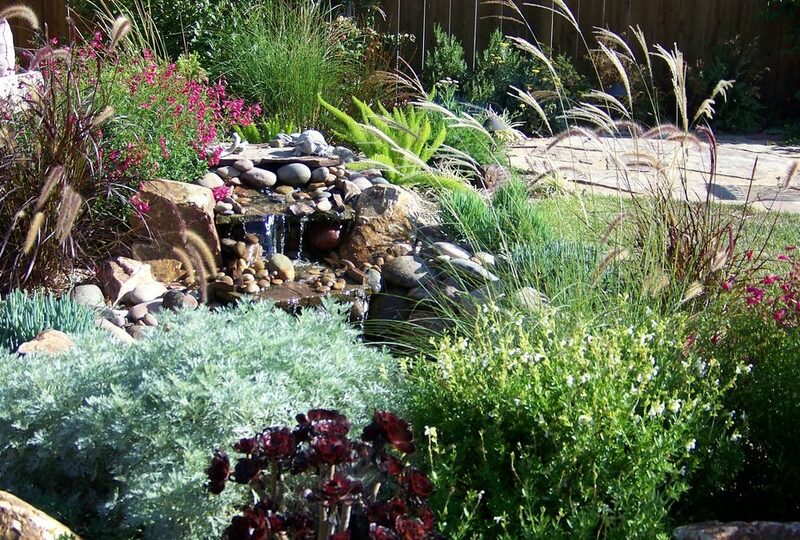 Letz Design Landscape offers design services for most of the above Landscape Architecture listed amenities in San Diego, along with guidance for the use of climate appropriate plantings. Contact me today to get the ball rolling on your own backyard retreat!